A cottage with rural views. Azalea Cottage is a spacious 2 bedroom cottage complete with a fully self-contained kitchen, bathroom and laundry. The main bedroom features a queen bed, the 2nd bedroom has 2 singles and the living room has a queen bed sofa. The cottage supplies everything for a comfortable stay. 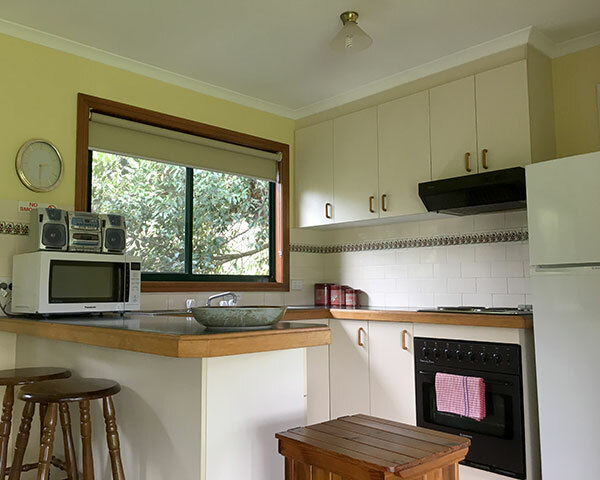 Like all our cottages, Azalea is surrounded by established gardens, kid’s play area and a great undercover BBQ area to cook your catch and relax with family and friends. 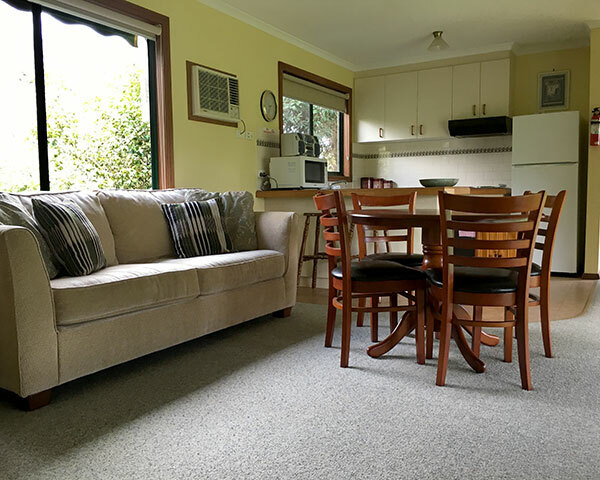 The cottage is maintained to the highest standards & presented spotlessly clean.